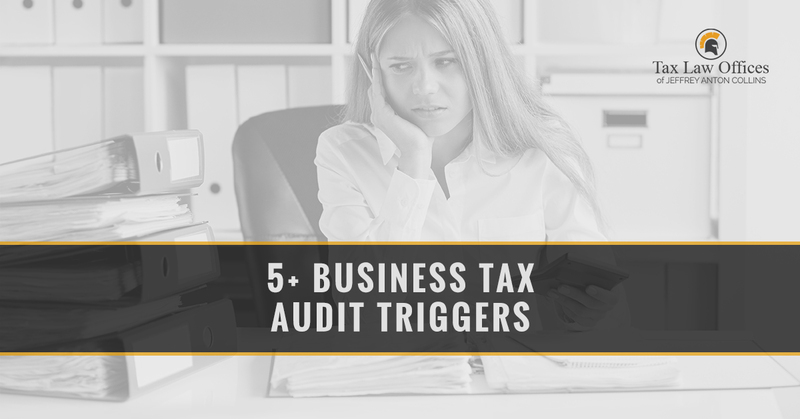 You can ask any small business owner what they would like to avoid most when it comes to their company, and we are sure most of them would respond with “a tax audit from the IRS.” It’s no wonder why – these audits can lead to disaster and financial ruin if things are handled incorrectly. That’s why it’s important to contact an IRS tax lawyer the moment you know your business is being audited. However, if your business is not being audited and you are looking to avoid that unfortunate event in the future, read on to learn more. We’ve compiled a list of the top “red flags” that will make the IRS take a closer look at your business’s taxes. The good news is, very few people who make under 200,000 dollars annually get audited each year. However, that number skyrockets to about 10 percent of people if you make over 1 million dollars annually. With the higher odds of an audit for a larger income bracket, you will want to take very detailed financial records. That doesn’t mean you will get audited for sure, but your chances are higher; it’s much better to be prepared for the possibility of being audited and have the records to keep your business safe. If you have large deductions that will lower your taxable income, they may raise a flag if they don’t line up with your actual income. The IRS actually has tables to see how much of a deduction is too much, but these tables are not available to the public. Sometimes, these deductions will be out of balance, such as when a company is first starting. Don’t let this discourage you from taking the deductions you qualify for, but make sure you have detailed records to back up that information. When it comes to your tax returns, you never want to round your numbers or average them. If you made even just three dollars over 50,000 last year, do not report that you only made 50,000 dollars. If they see that you are being anything less that completely detailed in your report, they may believe that you’re cutting corners in other areas. While this is a useful thing to have during tax time, especially if a major part of your business is run through your home, keep the rules in mind. You may only claim a portion of your home if it is exclusively used for your business. If your work is done at a desk in the corner of your bedroom, it won’t be accepted as a deduction since the room is used for personal use as well. If your business is actually seeing significant loss year after year, how are you keeping it running? This is a good reason for the IRS to begin snooping around. Some people claim the cost of their hobbies as a business expense and call it a loss – an act that is illegal. However, if you have had a few bad years, you will be able to prove that your business is legitimate, and then you can show that the deductions are deserved with your records. This is where you can take the deductions that will lower your taxable income. Keep in mind, though, that the IRS takes a very close look at these returns. Don’t be afraid of claiming legal deductions, however, as long as you have the documentation to back them up. If you are concerned about filing a schedule C, you can set your business up as a separate entity and handle your expenses that way. While you want to take potential clients out to lunch or bring your employees to a conference in Vegas, other business owners might choose to take a family vacation and call it a business expense. The IRS knows this, and if your return has higher-than-average expenses, then you can expect an audit. Keep careful documentation of the purpose, cost, receipts, and attendance for each of these events to avoid getting into trouble. We at Tax Law Offices are here to help you. Contact us today if you are worried about an audit on your small business’s taxes!